Welcome to Farming Ridge! A very popular, friendly development in the heart of Exeter Township! 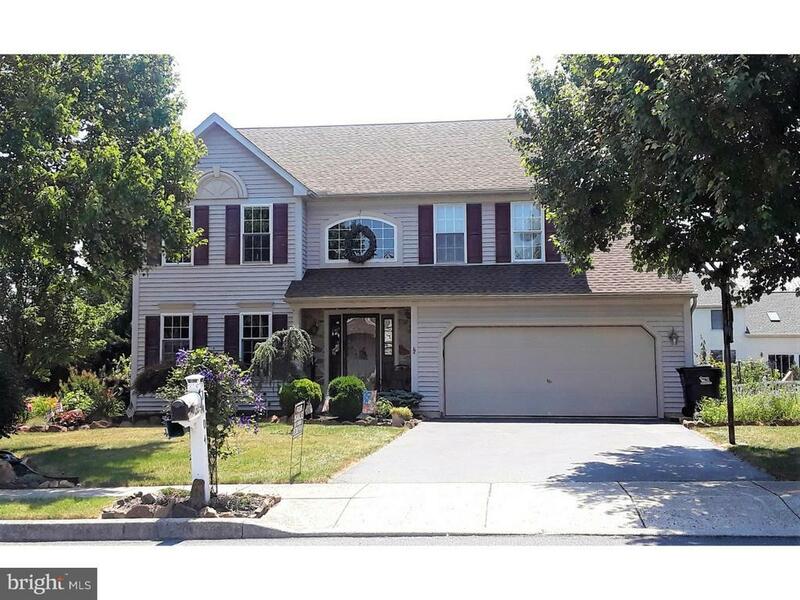 Move-Right-In to this lovely 4 Bed, 2 ~ Bath, Two-story Colonial Style home with lower level finished office and partially finished basement. This home was built in 1997 by Berks Homes and has had many upgrades since. Enter into the bright open foyer and easily flow from living room to dining room and into the spacious kitchen w/island and sliding doors to the enlarged Deck, Hard Scape Patio and A/G Pool. A half wall transitions the spacious Kitchen to bright Den. The open staircase leads to the upper level to the large Master Bedroom with Tray ceiling, Walk-In Closet and Master Bath; There are 3 Spacious Bedrooms, a Full Bath and convenient upper level Laundry Room! Lower Level: 300 sq ft finished Home Office, partially finished basement, storage area and outdoor entrance (bilco doors). Lot: Landscaped yard, Hard Scape Patio, enlarged Deck, A/G Pool (24 round), front walk, driveway, and 2 Car Attached Garage. Upgrades: Furnace, NEW 50 gal Hot Water Heater (2018), NEW Water Softener (2018), New Roof (2015), and New Central A/C Unit (2013) to name a few. Other: Public Water, Public Sewer, Gas Heat, Forced Air, and Exeter Township Schools. Convenient to major travel routes including Rte. 422, Rte. 222, I-176, and PA Turnpike entrances (Morgantown & Reading) --makes any commute to easy. Public transportation available! Appliances remain. Flexible Settlement date! Wonderful house...wonderful community! Schedule your showing today!